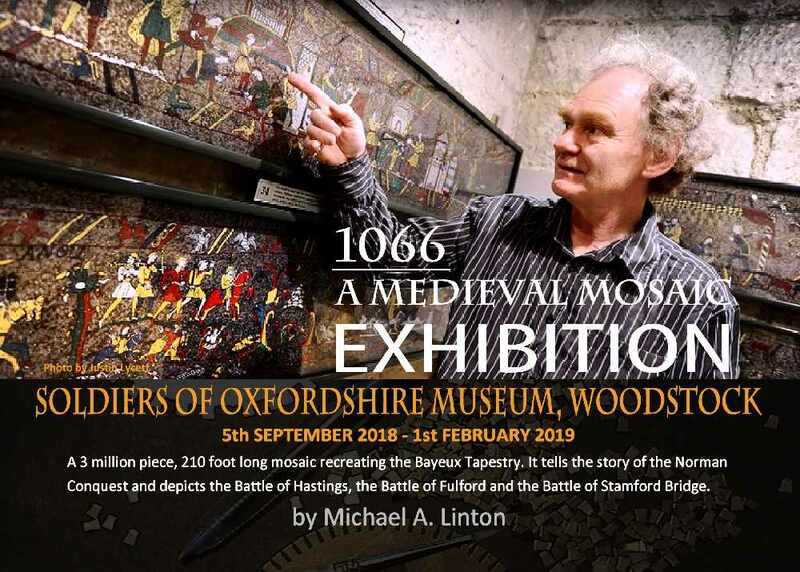 1066: A Medieval Mosaic is a re-recreation of the Bayeux Tapestry handcrafted from 3 million pieces of spring steel. The mosaic, created by Michael A. Linton, is 64 metres long, weighs 350kg and took 33 years to complete. It is listed in the Guinness Book of World Records as the world's largest steel mosaic. In 2005 Michael added an 8 metre 'Finale Section' which depicts events leading up to the crowning of William the Conqueror on Christmas Day 1066. In 2012, a 22 metre section was added to cover the Battles of Fulford and Stamford Bridge. The mosaic now measures close to double the length of the real Bayeux Tapestry.